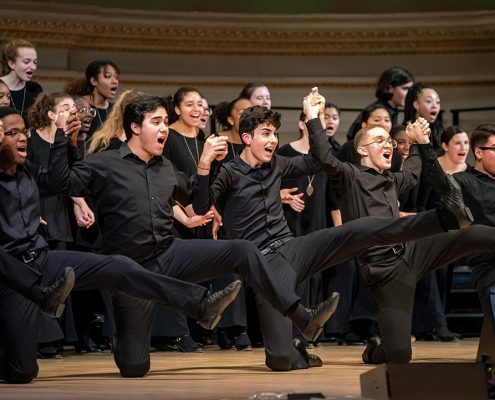 On May 13, in partnership with Carnegie Hall, the Young People’s Chorus of New York City® (YPC) and its Founder and Artistic Director Francisco J. Núñez holds the first annual summit conference and concert of their program Vocal Resolutions: Shaping Perceptions Through Music in the Weill Music Room of Carnegie Hall’s Resnick Education Wing. Thanks to a five-year grant from the Pierre and Tana Matisse Foundation, the initiative uses music as a means to open conversations among children of different backgrounds, teaching them how to develop their voice expressively and technically, as well as to experience music as a bridge to diverse cultures and an impetus towards personal growth and social awareness. 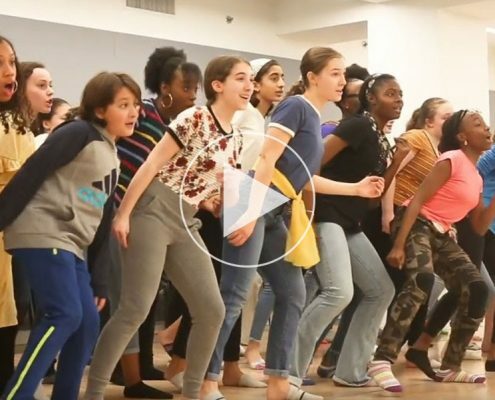 YPC is joined in this day-long journey of exploration and understanding by the Boston Children’s Chorus after several months of dialogue between them on social issues of concern to young people. The day culminates at 4:30 p.m. with a panel discussion by the choristers, moderated by Dr. Derrick Gay. 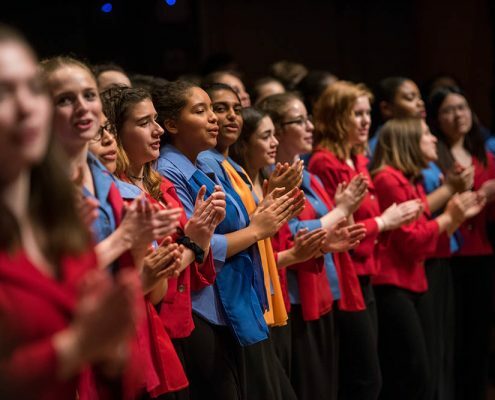 This discussion is followed by a workshop concert at 5 p.m., the highlight of which is a performance by both choirs of Michael Gordon’s To Sing, a new work commissioned by YPC on the theme of “freedom.” The text of the composition—“Everybody has the right to sing this song”—reflects the day’s theme. 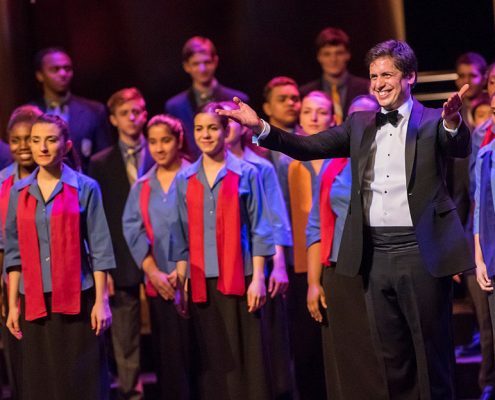 Both choruses also sing Oscar Peterson’s Hymn to Freedom; the YPC anthem by Jim Papoulis, Give Us Hope; and their own individual programs. 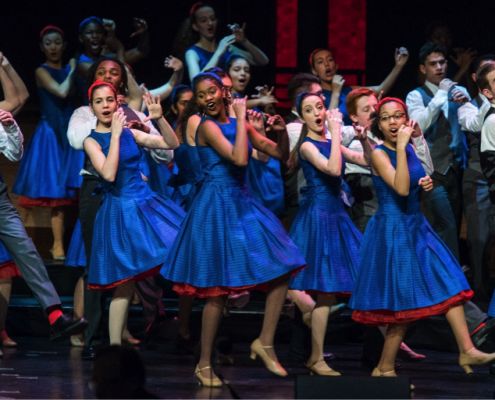 Throughout the school year, Vocal Resolutions provides YPC choristers vocal training that includes customized private lessons, recitals, as well as master classes led by celebrated professional singers. 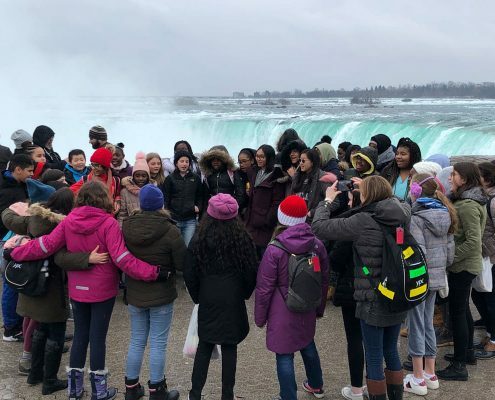 The program is designed not only to develop highly trained singers with individually honed vocal skills, but also to provide them with knowledge and understanding of social concerns that will lead to a meaningful cultural dialogue. Each year of the five-year project, a composer is chosen to write a new work that raises awareness about our current social climate. 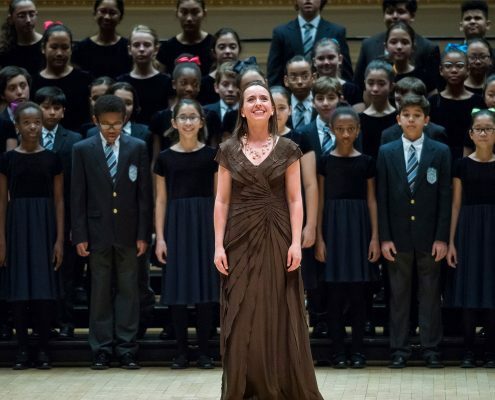 These new works aim to stimulate conflict resolution discussions in music workshops that further shape the piece, and each is premiered at a year-end Vocal Resolutions summit in partnership with Carnegie Hall. 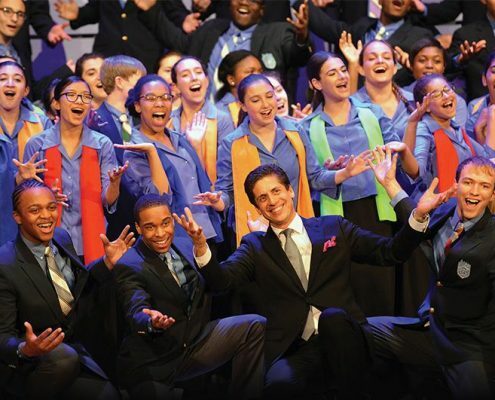 The Young People’s Chorus of New York City® is a world-renowned youth chorus founded in 1988 on a mission of diversity and artistic excellence by Artistic Director Francisco J. Núñez, a MacArthur Fellow. 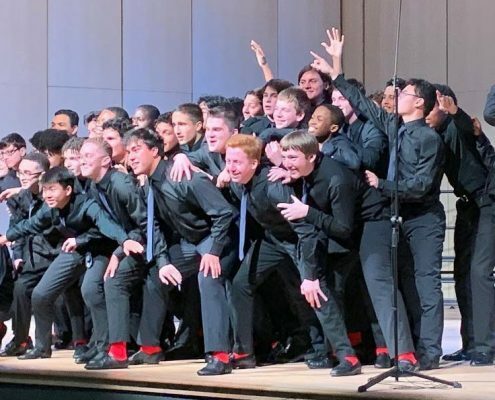 While harnessing the power of music to fulfill the potential of children, the program has heightened an awareness of the ability of young people to rise to unforeseen levels of artistry. 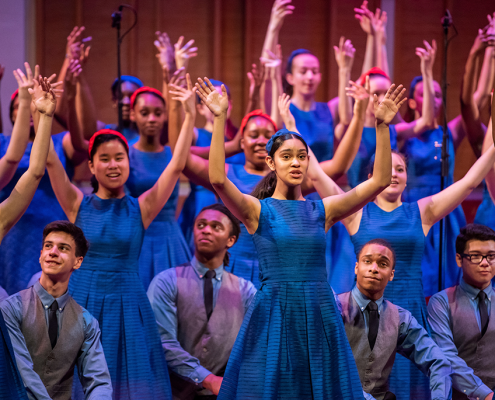 More than 1,600 young people benefit musically, academically, and socially through their participation in the YPC’s after-school and in-school programs. YPC is a recipient of the National Arts and Humanities Youth Program Award, America’s highest honor for youth programs. Dr. Derrick Gay is an internationally recognized consultant to schools and educational organizations on issues of diversity, inclusion, and global citizenship. He collaborates with education thought leaders to foster empathy, cultivate cultural competency, and deepen inclusion.